There’s been a recent resurgence of the 1930s-inspired, “farmhouse” look, thanks to the popularity of HGTV home renovation shows like Fixer Upper, Farmhouse Fixer, and Home Town. But, if you don’t have Joanna and Chip Gaines on speed-dial, how do you get started? 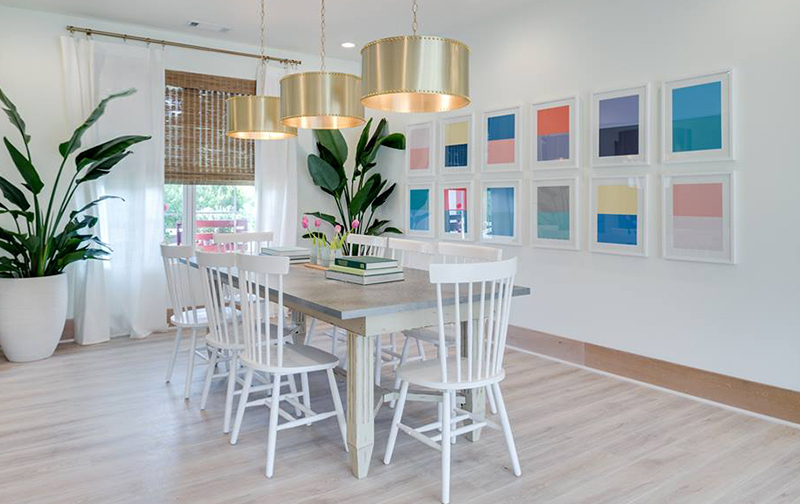 What does it take to get the look of this design mega-trend in your home? 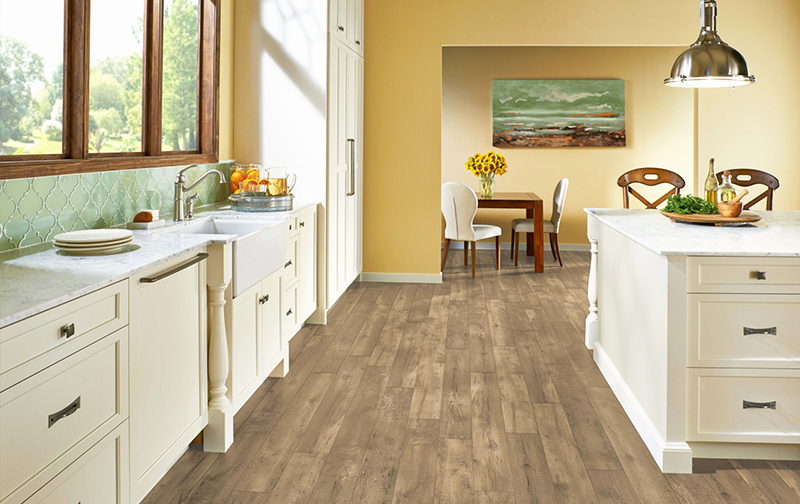 Farmhouse-style floors are a popular choice for kitchens. To achieve the perfect mix of charm and character that this decorating style is known for, it takes more than just putting up some rustic shiplap paneling or painting your kitchen cabinets a clean shade of off-white. You also need to install forgiving, well-styled farmhouse flooring. On the show Home Free, designers added a touch of farmhouse style to a home with Mohawk’s Rustic Legacy laminate flooring. Back in the day, when families living on farms helped establish the sought-after look, they made interior design choices out of necessity and based on the limitations of available materials. The good news for today’s homeowners is that they won’t face those same limitations when they decorate their houses. With nearly unlimited options to choose from when it comes to decorating your home, it’s easier than ever to achieve a modern take on the relaxed farmhouse-style. Hardwood is a natural fit if you want to make sure your home’s new floors will help you create a gorgeous, warm interior that matches the weathered aesthetic you might find when flipping through the pages of the latest issue of Magnolia magazine. If you want the look of gorgeous hardwood, but your lifestyle demands that you choose a flooring option that’s a bit more durable and scratch-resistant, laminate flooring might be the best alternative to explore when trying to pull off the casual character that the farmhouse-style is known for. For a truly modern twist on the chic simplicity that you get when adopting a farmhouse style for your home, resilient, or vinyl plank flooring, gives you the look of hardwood without some of its drawbacks. Plus, it can help reduce noise while being easy to clean, water resistant, and pet-friendly, too. Looking for tile that can mimic the look of old wood farmhouse floors with realistic wood grain texture and sophisticated coloring? Using up-to-date technologies, processes, and finishes, contemporary flooring manufacturers have you covered with a wide array of classic farmhouse flooring options that look good and won’t scratch or stain. Looking for farmhouse flooring in Indianapolis? If you need more guidance finding the coziest floors for your personal fixer-upper, we can help. The designers at Kermans are award-winning experts in flooring and all styles of home design. Stop by our showroom, ask a lot of questions, and figure out exactly what you need to choose the farmhouse floors of your dreams. Set a time to meet one-on-one for no pressure, personalized advice. Let’s talk.